A comprehensive guide to grammar without all the grammar jargon. Includes the keys to scoring well on both the SAT and ACT. Now there’s a grammar handbook for middle and high school students to easily unlock the grammar rules. It is written in friendly language and with humor, so students will be sure to visit this handbook over and over again to brush up on general grammar rules and tips. 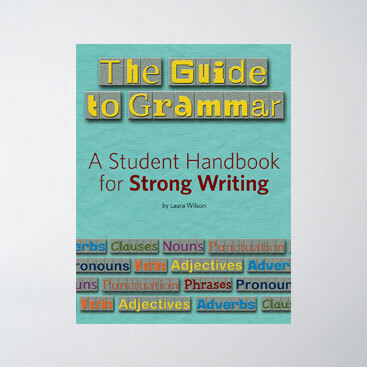 This grammar handbook takes you step-by-step through the writing conventions, including parts of speech, tenses, modifiers, punctuation, parallelism, and much more. The Guide to Grammar is perfect for students and teachers and aligns with the new Common Core State Standards. Twenty-seven practice worksheets are included.